Availability: Stock will be despatched to you as soon as we receive it from our supplier. 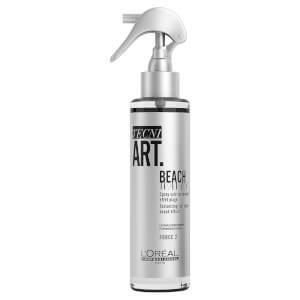 Achieve that enviable just-been-surfing look with the L’Oréal Professionnel Tecni.ART Beach Waves; a texturizing spray that helps you create effortlessly tousled, salty locks for that messy, yet super-chic finish. The hair styling formula contains Sea Salt to add definition and volume that never feels sticky or rough. 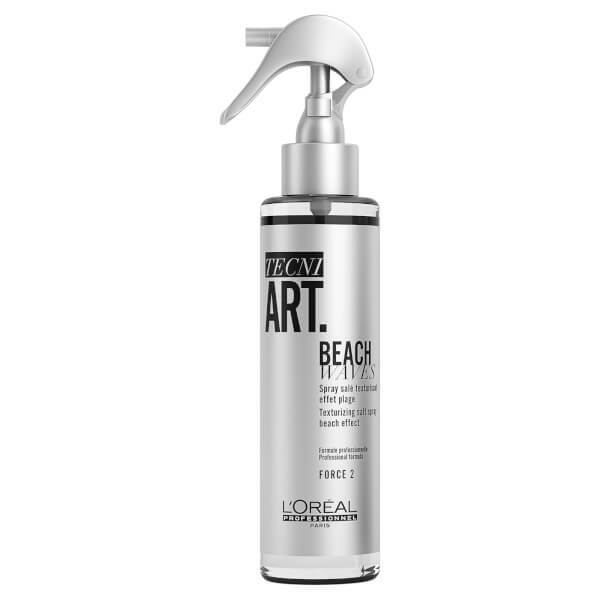 Suitable for all hair types and lengths, you can fake your way to that just-stepped-off-the-beach vibe with just a few spritzes. Spray onto dry or damp hair and work with fingers you can also apply it before using hot tools to create texturized, matte waves. Brush through the curls with fingers and dishevel ends for a messy finish. Alcohol Denat., Glycerin, VA / Crotonates / Vlnyl Neodecanoate Copolymer, Aqua / Water, Propylene Glycol, Aminomethyl Propanol, Hexyl Cinnamal, Benzyl Alcohol, Sodium Chloride, Octyldodecanol, Ethylhexyl Methoxycinnamate, Benzyl Salicylate, Coumarin, Citronellol, Linalool, Parfum / Fragrance. C39184/1.